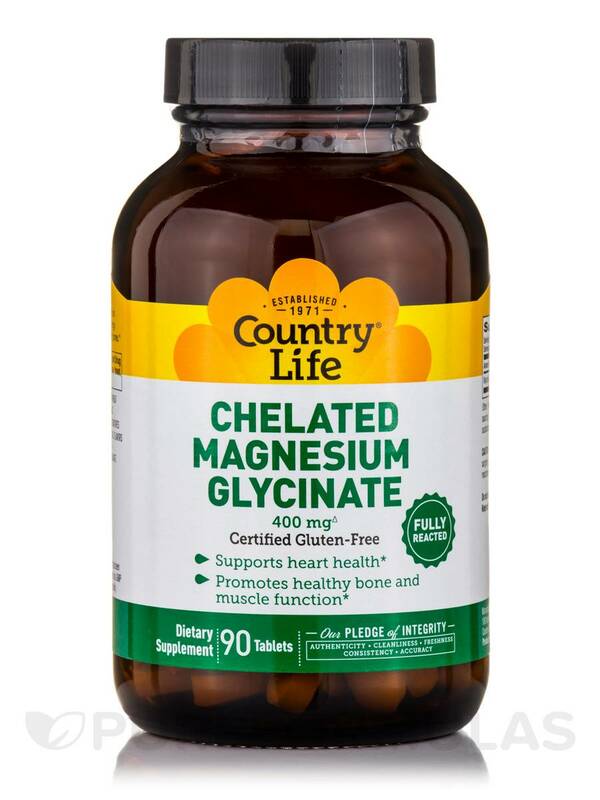 Country Life Magnesium Glycinate is fully reacted with an amino acid chelate. 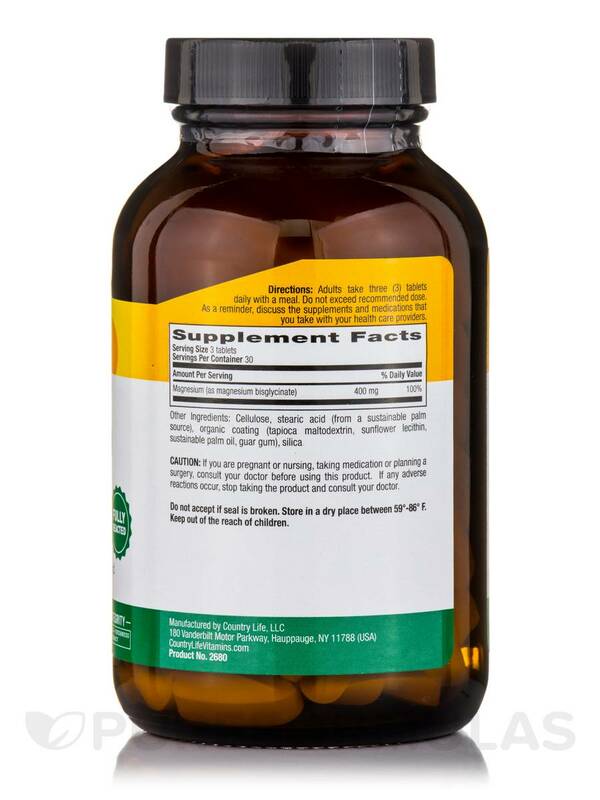 It offers a bioavailable source of magnesium to the body. Magnesium is needed for more than 300 biochemical reactions in the body and it helps to relax muscles. 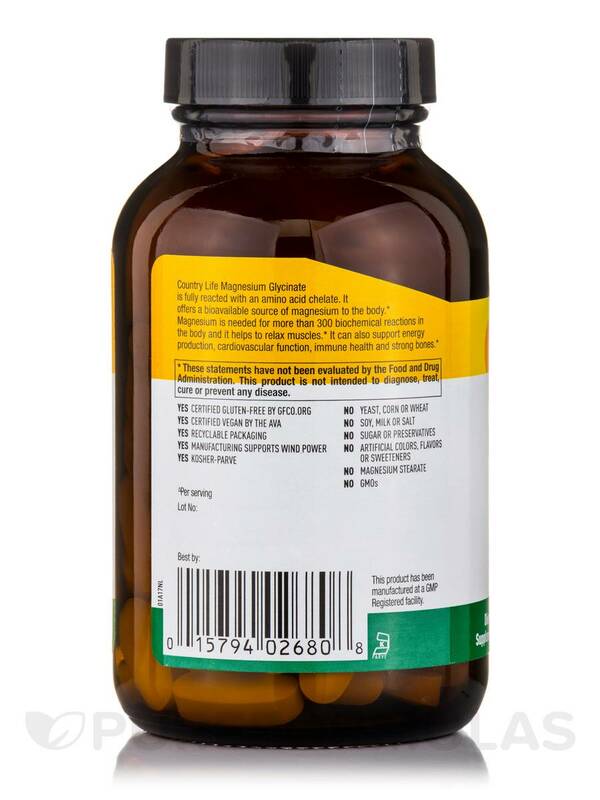 It can also support energy production‚ cardiovascular function‚ immune health and strong bones. 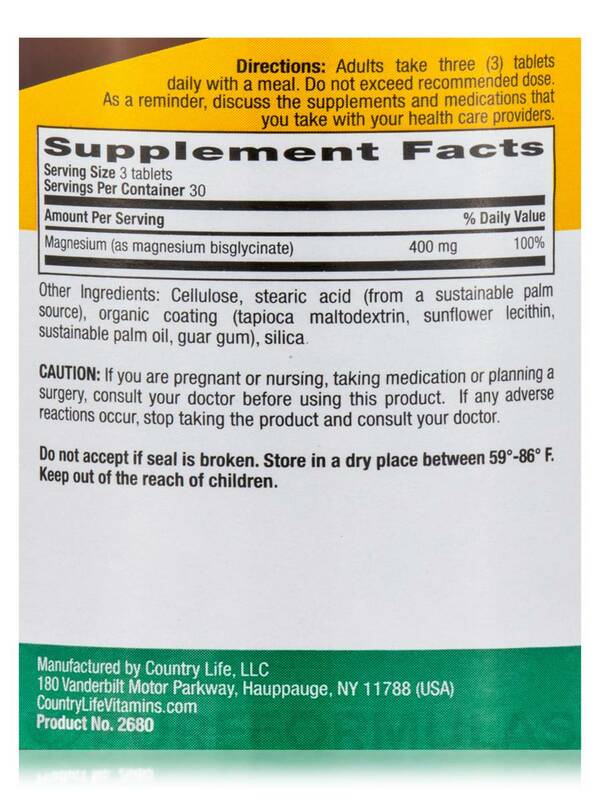 Other Ingredients: Cellulose‚ stearic acid (from a sustainable palm source)‚ organic coating (tapioca maltodextrin‚ sunflower lecithin‚ sustainable palm oil‚ guar gum)‚ silica. 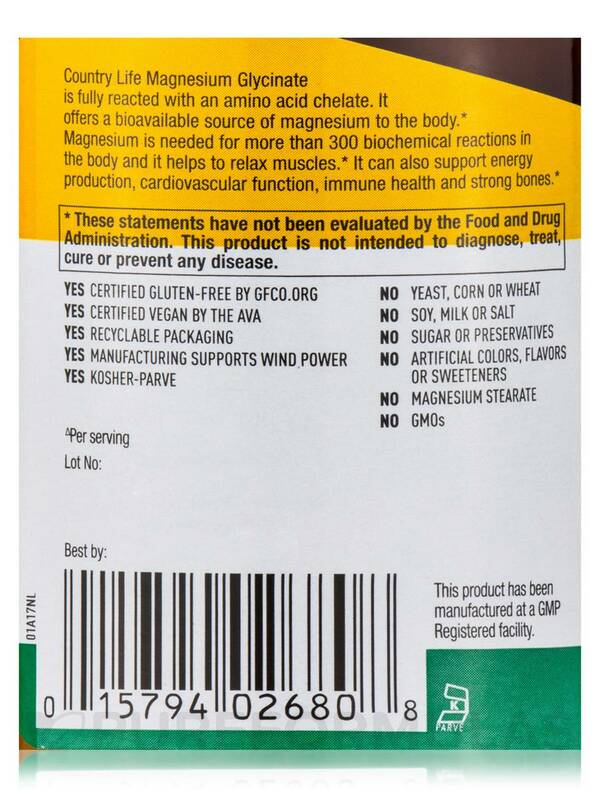 Gluten-Free / Vegan / Vegetarian / Kosher / Yeast-Free / Corn-Free / Wheat-Free / Soy-Free / Milk-Free / Salt-Free / Sugar-Free / Non-GMO. No Preservatives‚ Artificial Colors‚ Flavors or Sweeteners. Adults take three (3) tablets daily with a meal. Store in a dry place between 59°-86° F.